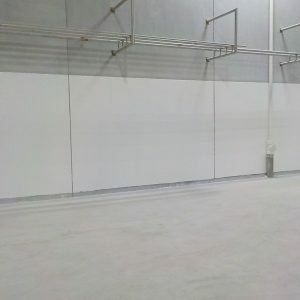 A food processing and manufacturing plant in central Iowa requested TMI Coatings line the interior of their DAF (dissolved air flotation) tank. The DAF tank is used in their water treatment process to break down wastewater by the removal of suspended matter such as oil and solids. 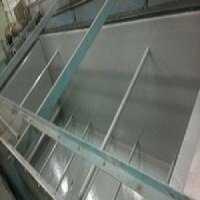 The wastewater is corrosive and the steel of the DAF tank must be protected. 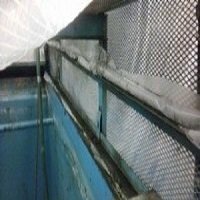 The customer removed the skimming devices prior to TMI sandblasting, then TMI installed the lining material as recommended by the manufacturer. 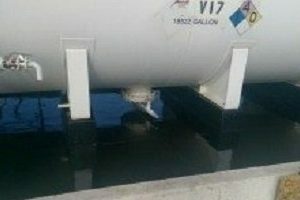 The customer was very happy with TMI’s workmanship and the timely ‘turn around’ on the tank lining project because it did not interfere with the plant operations.